For some reason over the last few days I have been searching the internet far and wide looking for the perfect jumpsuit for the winter months. 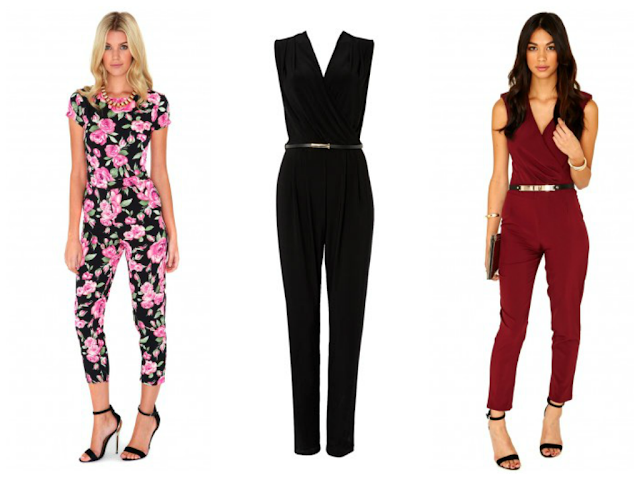 I have never bought a jumpsuit before or tried one on but keep imagining what items I could wear it with, from the shoes to the accessories. They seem super comfy and another flexible item that can be easily dressed up or dressed down depending on the occasion. These are a few of my picks that I have found on the internet, but the only thing that was discouraging me from purchasing one was the price, as I had never bought one before and they are such a change from my everyday normal outfits, I wasn't sure if I would take to them or if they would take to me. So I turned to eBay and found a lovely Urban Outfitters jumpsuit, for the price of £4.20. Yes, this was a shock for me too. I can't wait for it to arrive.